Cameron’s first taste of drilling and drilling equipment was when he worked as a drillers offsider in the Goldfields of Western Australia. 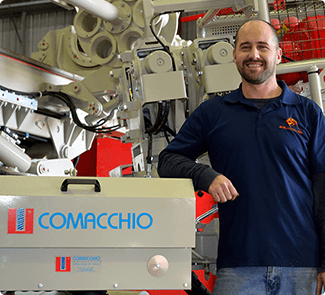 Red dirt, long, hot days and hard-work didn’t deter Cameron from an ambition to design and develop beter equipment and processes He set about with a plan to become an innovator and entrepreneur. 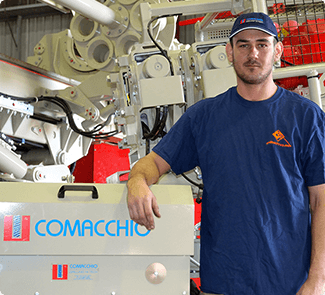 Cameron completed his apprenticeship as a Mechanical Fitter, specialising in Hydraulics and Fluid Power Technology in 2004 with Queensland component, service and repair company Pacific Hydraulics before commencing a role with mining and construction company Sandvik. This offered the opportunity to develop skills in the modification design and commissioning of drilling and mining equipment and a great preparation for his next challenge. In early 2007, Cameron commenced a role with Avopiling as fleet manager for a wide ranger of foundation drilling rigs and auxiliary equipment and it was then that he decided to start his own company. Drilltechniques was founded in 2008. Chris’s career spans some 32 years across an eclectic range of roles and industry sectors. 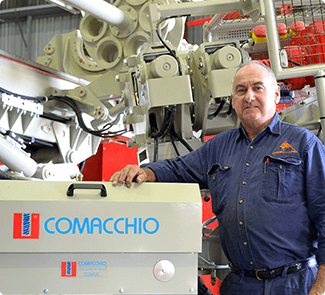 His experiences in administration, management and human resources contrast starkly the 13 years spent in Western Australia where he worked as an underground miner before completing an adult apprenticeship as a fitter and turner with local company, CPC Engineering. Chris founded and ran a successful Registered Training Organisation delivering underground and surface inductions, load shifting equipment and company procedures. Chris has worked as a Safety and training officer, roles in domestic and international recruitment and business development. 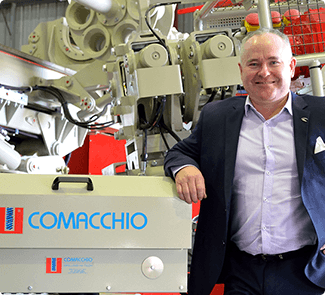 A previous role with Drilltechniques as National Sales Manager then nearly five years with the Australian Institute of Management has placed Chris perfectly to assume the mantle of General Manager at the company, a role he commenced in February 2017. Chris brings to the table a wealth of management and administration skills including a strong understanding of project and financial management. David is an experienced and capable diesel fitter and hydraulic specialist, earning his stripes at Mt Isa Mines and then later at a Brisbane transport company where he worked almost exclusively on large trucks and vehicles. From there David took a role with a transport hydraulics company where his focus was on the design, development and maintenance of the hydraulic components found on large rigid and articulated trucks. His skills recognised, that employer promoted David into the role of Workshop Supervisor, including a Business Development function. 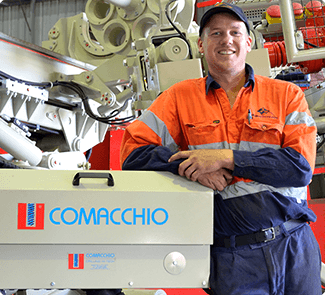 Cameron and David met when they both worked together at Pacific Hydraulics, where David took on the role of Hydraulic Service Fitter before a short stint at Sandvik in undergroud mining. David’s next move was to commence a role with Theiss Contractors on the Boggo Road tunnel in Brisbane as Shift Service Fitter and then a final move to the Airport Link Project with Theiss John Holland before joining Drilltechniques in 2009. David is highly skilled tradesman who possesses excellent fault-finding and diagnosis skills. He is a passionate advocate of Drilltechniques vision and values and well respected by his team of service personnel and the greater Drilltechniques business. Jennifer has acted in the role of Administration Manager since the organisation was founded in 2008. 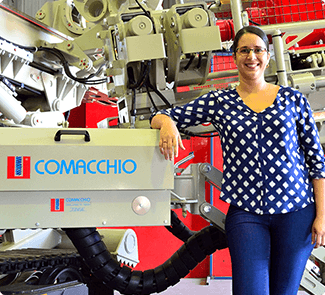 She possesses an excellent grasp of Drilltechniques products and services and is often the face of the organisation from the perspective of our customers. Jennifer has a medical background yet has grown to enjoy the heavy industrial environment and all the characters and challenges that comes with it. Jennifer manages a small team and is instrumental in the company’s bookkeeping, marketing and general administration functions. Shannon is an experienced and competent accounts officer who approaches everything she does with a smile. Her ability to foster positive relationships with customers, suppliers and staff is as important to us as her bookkeeping skills. 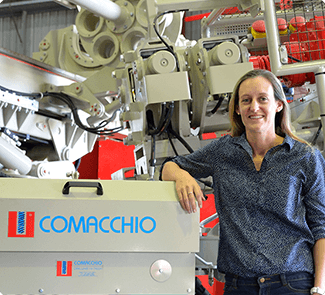 Shannon’s approach to work is one of commitment and passion, she has an eye for detail and is a valuable member of the Drilltechniques team. Ian has been a big part of the team here at Drilltechniques for a considerable time. 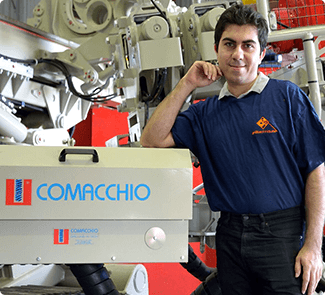 His technical skills and innovative approach to complex problems has helped the design process and played a big part in the development of robust, efficient components. Ian is a skilled operator of the CNC equipment including our lathes and machining centres. Shaun is a recent addition to our team. In no time at all, it is clear that he fits perfectly within our culture and his approach is that of consistent high-quality work. In a fabrication environment, an engineering company is often defined by the quality of the welds that hold components together. Our work is consistently tested by approved NDT and other means. In all cases where Shaun’s work has been assessed, we get glowing reports that are happily passed on to the customer.